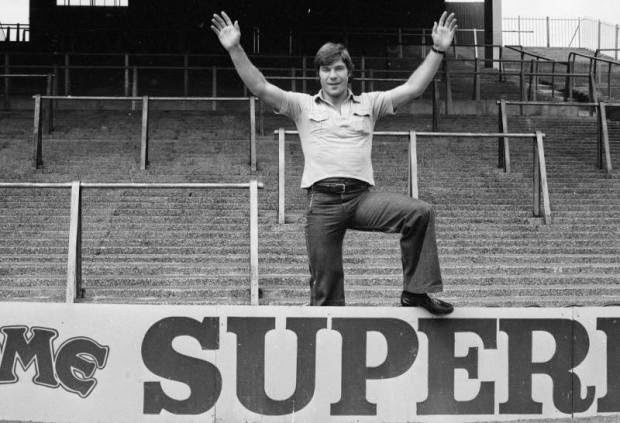 One of the most prolific scorers of the 1970's for Newcastle United and then Arsenal, Malcolm "Supermac" Macdonald didn't have a lot of success at international level, with the notable exception of a scoring rampage he went on forty years ago today. The man who had been discovered by Bobby Robson at Fulham, but went on to his greatest success in the North East, bagging 95 goals in 187 appearances for Newcastle, was first capped for England in 1972. It was a difficult period for the national side though, as Sir Alf Ramsay's time in charge of England was coming to an end and the Three Lions would shockingly fail to qualify for the 1974 World Cup in Germany. After his debut, caps were hard to come by for Macdonald despite his scintillating form for his club, but under new England boss Don Revie he was given his chance in the 1976 UEFA European Championship Qualifiers. On 16 April 1975, England faced Cyprus at Wembley in front of 68,245 fans and Supermac wasted little time in getting off the mark. Macdonald had his and England's first goal in the 2nd minute, before going on to notch further goals in the 35', 48', 53' and 86' minutes. His five goal outburst, that staked England to a comfortable 5-0 win, is still the only time an England player has scored that many goals in a competitive fixture. 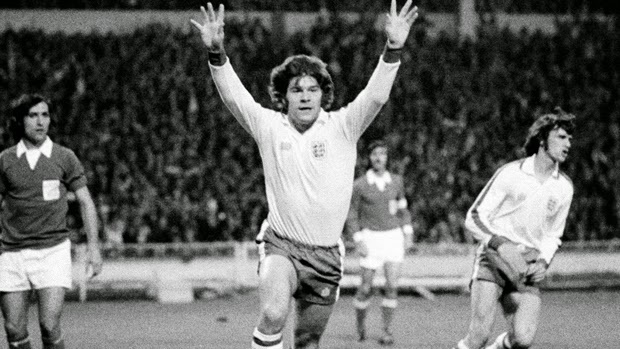 Later that year, Supermac would score another goal for England in an impressive 2-0 friendly win over West Germany. It was to prove a false dawn for England and Macdonald though, as defeat away to Czechoslovakia and a draw away to Portugal saw off their qualification for Euro 76 hopes and Supermac never scored for England again. Macdonald left Newcastle for Arsenal in 1976 and was The Gunners top scorer for two seasons before a serious knee injury at the start of the 1978/1979 season effectively ended his career at only age 29.